Find out what your clutter is worth. You may be more willing to part with something if you can get money for it. And, chances are you have items that may be collecting dusk, when you could be collecting money for them. Some hidden sources of income around your house include clothing, jewelry, used cell phones, unused gift cards, books and furniture. Go online to find out how much you could make by selling certain items. If the going rate doesn’t impress you, figure out how much you could deduct from your taxes by donating the items to charity. TurboTax offers a free program called ItsDeductible that lets you enter your charitable donations year-round. Think outside the box for clever home storage. A few ideas: 1) If you keep plastic grocery bags, stuff them into cardboard paper towel tubes to conserve space and keep things neat; 2) String wires across a small photo frame to hang earrings for a functional and decorative display; 3) Paint the bottom half of a used egg carton and place it in a drawer to store small items, like jewelry or hardware. Keep things where you need them. For example, keep coupons in an envelope in your car’s glove compartment or a travel toiletry kit in your suitcase. — Suggested by Barry Izsak, president of the organizing firm Arranging It All. 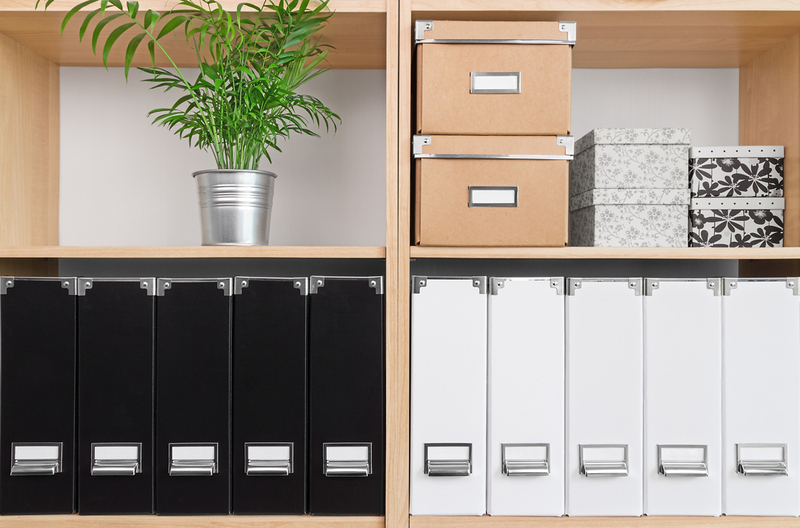 Don’t spend more than 15 minutes at a time organizing. It can take a lot of time to organize a closet, desk, room or garage. That’s why many of us put it off. By committing to just 15 minutes a day, you can complete the job without burning yourself out — Suggested by Pam Young, co-author of Sidetracked Home Executives: From Pigpen to Paradise.